For over 20 years, the Hadhad family ran a successful chocolate business in Damascus, Syria. But when their factory was destroyed in a bombing, the family fled to Lebanon where they lived in a refugee camp for three years. In 2016 they were welcomed into Canada along with 25,000 other Syrians refugees. Not long after, they would rebuild their chocolate business with a message of peace and a mission of giving back to the community that embraced them. 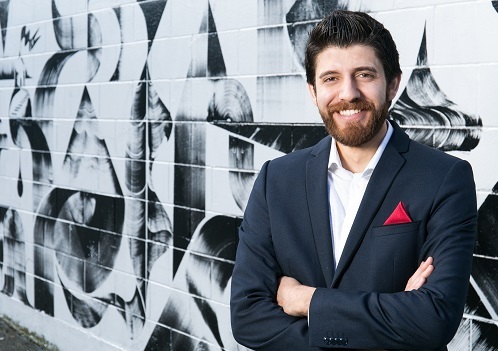 On today’s episode we speak with Tareq Hadhad, founder of Peace by Chocolate. He shares how his family revived their business and their lives in the small town of Antigonish, Nova Scotia, Canada, and how they’re doing all they can to show their appreciation for the community that welcomed them with open arms. They’re creating local jobs, supporting charitable causes and even named their first chocolate bar after the Mi’kmaq indigenous word for peace as a way of honouring community members and reinforcing their message of peace (they’re planning on naming “peace bars” in 20 languages). 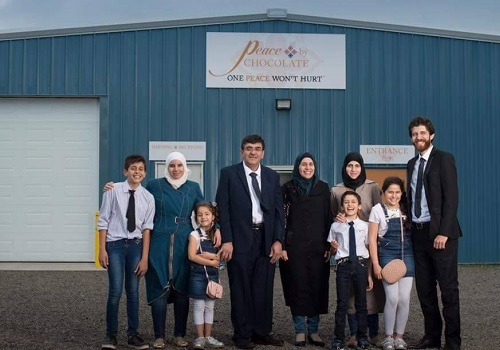 With help from community, a Syrian family tradition – and a shout-out from Prime Minister Justin Trudeau at last year’s United Nations summit on refugees – the business is booming. Along the way, the Hadhads are demonstrating that every piece of chocolate can carry immense value and hope.